I know how difficult it can be to decide which counsellor is best for you, so I offer an Introductory session, which can give you an opportunity to ask me any questions and for me to explain how I work. My aim is to offer you a safe non-judgemental place where you can begin to look at some of the issues that are troubling you. I work in an integrative way which means that I aim to tailor the counselling to suit each client, using a variety of approaches such as CBT, Gestalt, psychodynamic and attachment approaches, as well as some creative ways. I incorporate regular reviews into the counselling work, so that there are opportunities to take stock, check how you think your counselling is going, re-evaluate any goals you may have set and what the way forward might be. I have in the past worked as a music therapist, and have extensive experience in that field too, so am able to bring the benefits of that experience to my counselling work. I offer short-term and long-term face-to-face counselling for individuals. Sessions are 50 minutes long and generally held weekly. 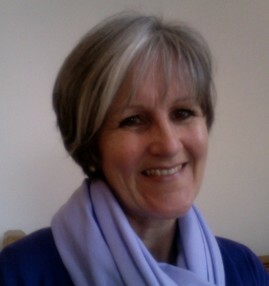 I have experience of working both in private practice and in counselling agencies, previously in London and now in Newcastle. The venue has some free parking and the nearest Metro is Haymarket. I also work with clients who have difficulties with dissociating and those with Dissociative Identity Disorders.